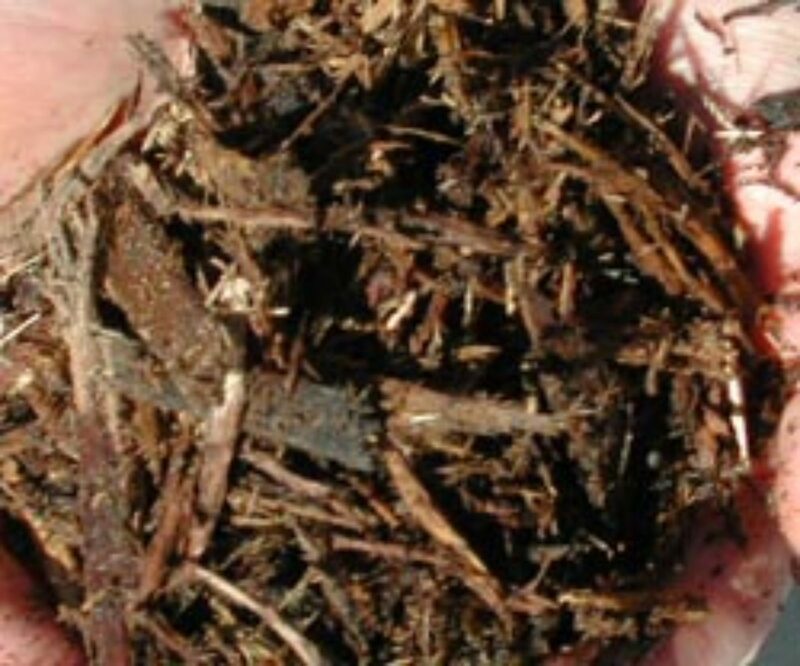 Hardwood Shredded Mulch is a medium brown blend of shredded bark and wood 1/8 to 1/2 inches wide and 1 to 3 inches or more long. It is twice ground to limit large pieces and to create a nice functional balance of large and small particles. Hardwood shredded mulch offers arguably the best bang for the buck and is by far our best seller. Overall hardwood shredded mulch is a good budget minded choice even though the color does fade some over time. Typically the more wood in a mulch product the more it will fade out from the sun. The low cost versus how well it functions in respect to weed suppression, moisture holding, how it looks, and decay rates make it a good buy. We sell about as much hardwood shredded mulch as all the others put together. When comparison shopping, consider not all hardwood mulch is the same. Low quality hardwood mulch can be sourced directly from ground whole trees. Wood and bark content can vary. 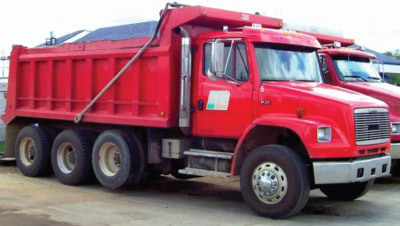 The lowest quality hardwood mulch comes from tree grinding and trimming job-sites. It may include ground but identifiable sticks, twigs and leaves. Our hardwood shredded mulch is sourced exclusively from hardwood sawmills. The mill first runs logs through a bark stripper. The head of the stripper floats along the log and shreds the off the bark leaving a log ready for sawing. The logs are then rough-cut into boards which are sent off to make cabinets, tables, etc. The remaining wood pieces too small to cut into boards are sometimes ground back into the bark pile resulting in a mix of bark and wood. The material is then moved to our processing site where it is reground and aged. The aging process increases density so you get more mulch for your money, it darkens the material and reduces the nitrogen draw from the mulched landscape bed as the material decays over the summer. The more nitrogen draw the less weeds, but also the less available nitrogen for your desirable plantings.